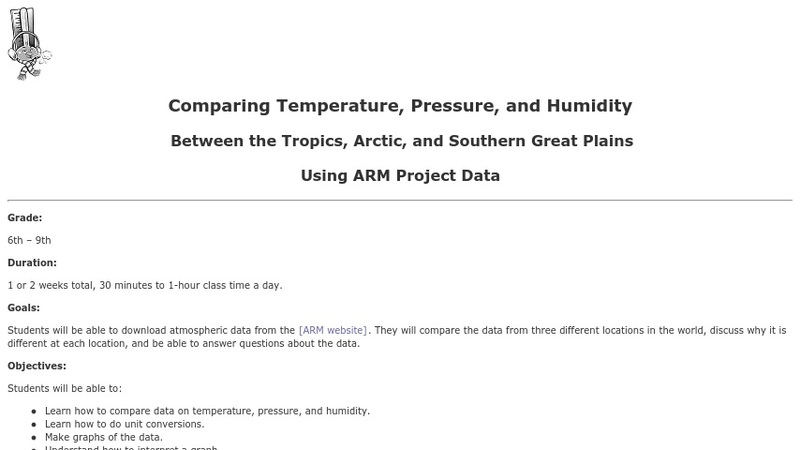 This sixth-ninth grade level lesson plan requires students to research and compare three diverse locations in the world for which weather data is available. The students download data daily for one to two weeks and also take local temperature readings. They learn to compare data on temperature, pressure, and humidity, do unit conversions, make graphs of the data, and understand how to interpret a graph. The exercises are part of the Atmospheric Visualization Collection (AVC), which focuses on data from the Atmospheric Radiation Measurement(ARM) program.